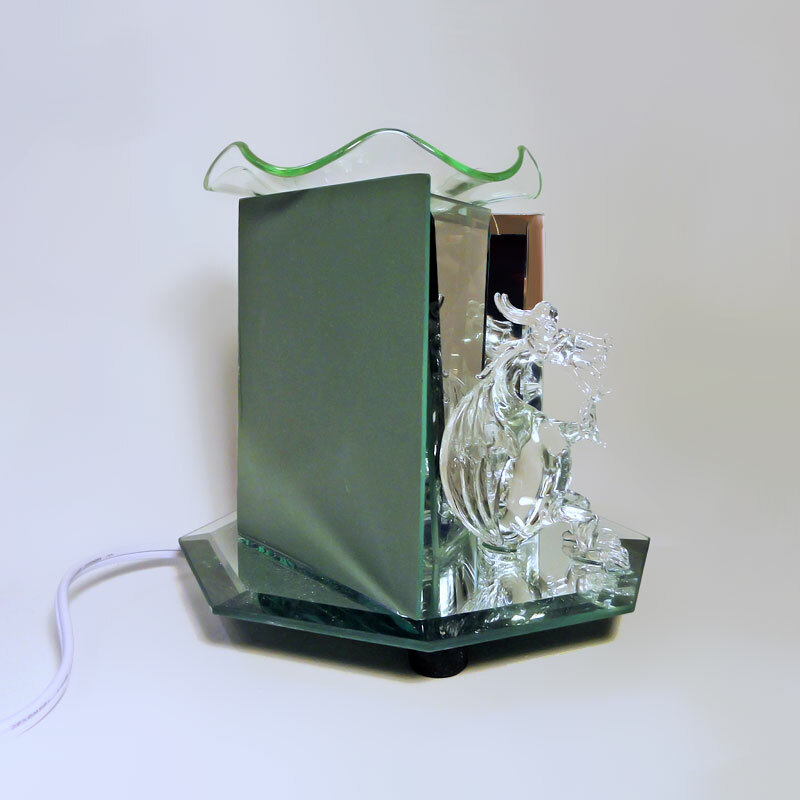 Item Weight 2 lbs. 2.8 oz. 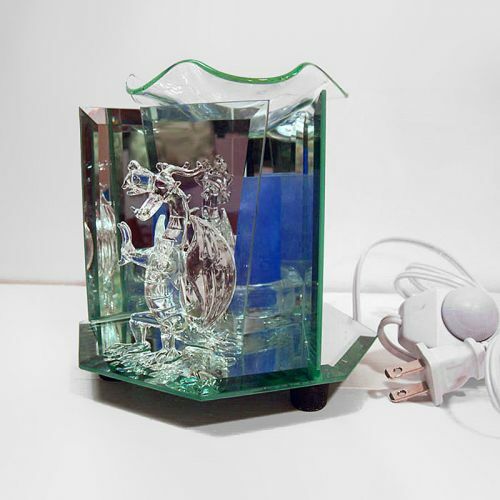 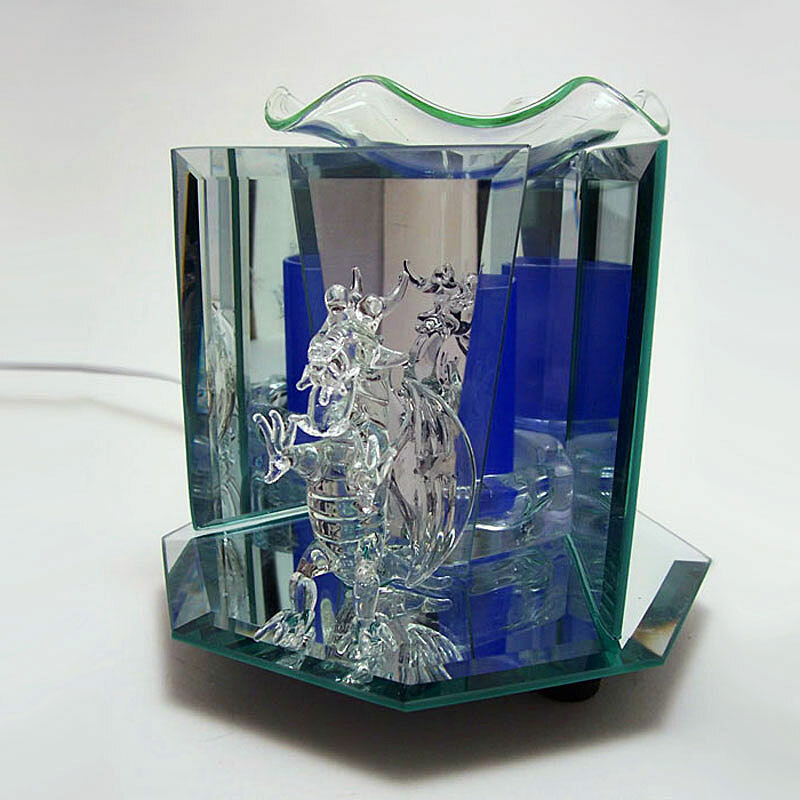 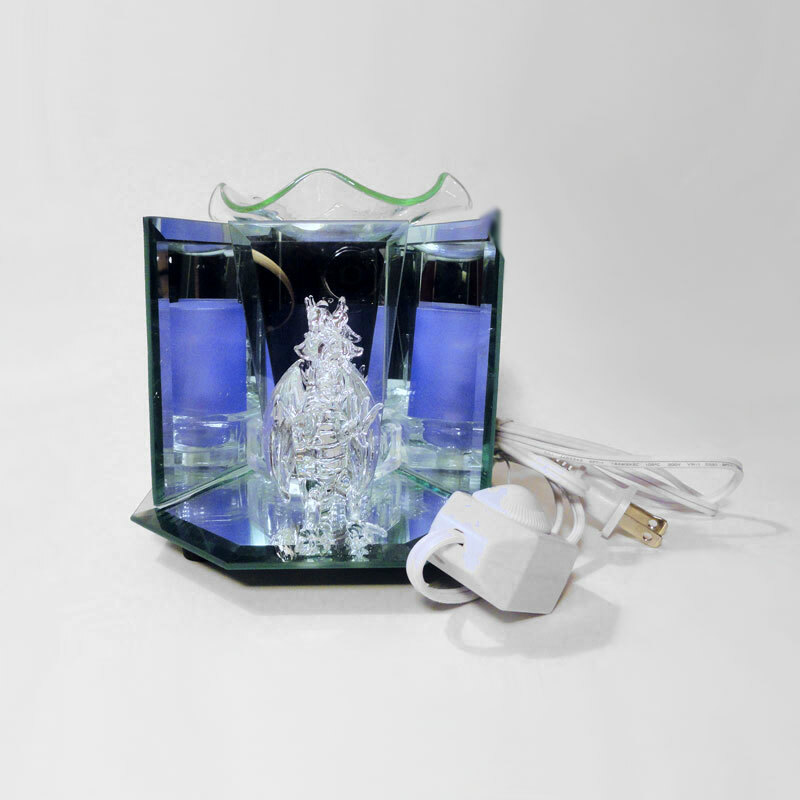 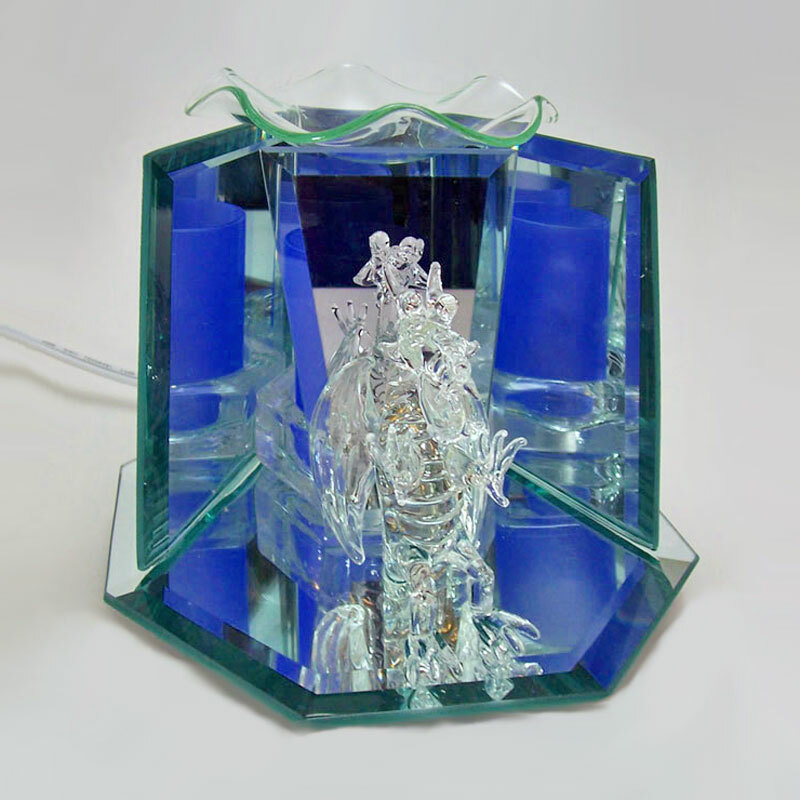 Glass electric oil or tart warmer featuring a glass dragon figurine and beveled glass and mirrors on sides and bottom.